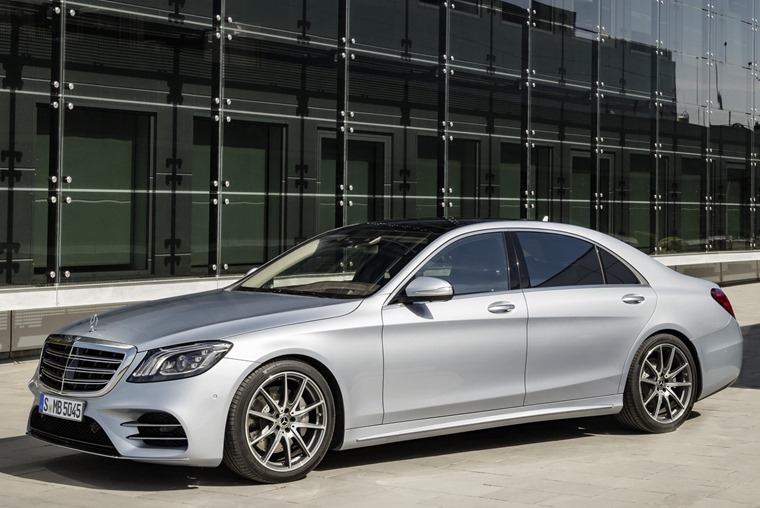 Mercedes-Benz has revealed photos and specs of its updated 2018 S-Class, ahead of the flagship model hitting showrooms in the summer. Externally, it would appear the new car benefits from only a few minor tweaks, but underneath it’s brimming with tech that takes Mercedes one step closer to a self-driving car. The front and rear bumpers have been updated, while the whole range now gets a grille that was limited to the top-of-the-range models in the current line-up. Fresher LED headlights and a new daytime running light pattern finishes off the look. 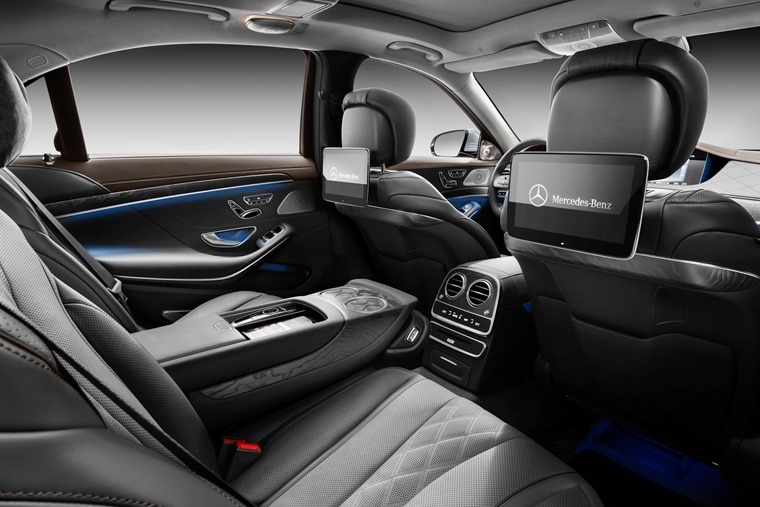 It’s much the same story on the inside, where the interior looks much the same as the outgoing model. However, updated materials are used throughout, while two 12.3in screens dominate the fascia. It also gets a fresh steering wheel, while new infotainment ‘swipe-touch’ controls are on offer too. Changes to the engine line-up however, are more far-reaching. The official UK line-up is yet to be confirmed, but the new S-Class will be available with an all-new straight-six diesel engine that gets a range of power outputs. Straight-six petrol engines are also on the cards, as well as 48V light-hybrid tech that’ll make the petrol models’ economy more comparable to their diesel counterparts. A V8 twin-turbo petrol will also be available for those plumping for the fiery S63 AMG model, which produces 612bhp. But the new S-Class’ party-piece is the plethora of active and passive safety tech that’s on offer for the first time. In this regard, it’ll be way ahead of some key rivals. 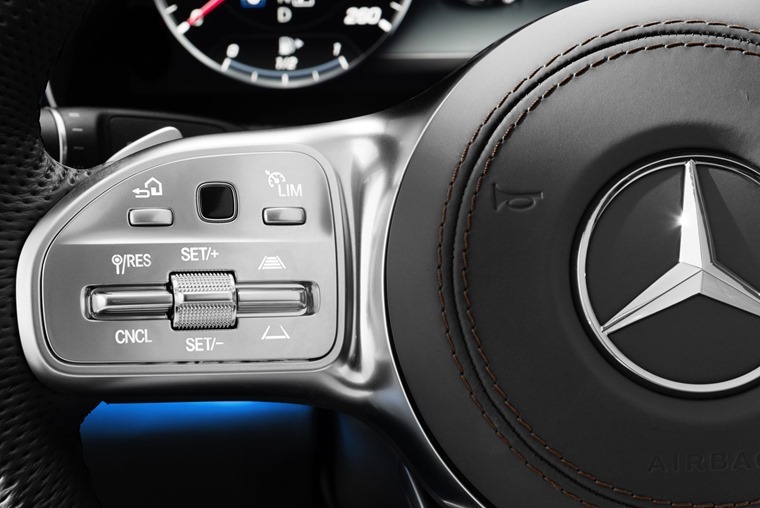 As is often said in the auto industry, if you want to know what the average car of tomorrow’s equipment list will look like, it’s worth looking at the S-Class of today. Evasive Steering Assist – Working with the Brake Assist system, if a pedestrian or other obstruction is detected in front of the car, it will help by applying extra torque in whichever direction the driver is steering. "The new S-Class raises Mercedes-Benz Intelligent Drive to the next level," says Dr Michael Hafner, head of automated driving and active safety at Mercedes-Benz. "We are approaching the goal of automated driving more purposefully and faster than many people suspect. From the autumn, the new S-Class will be able to support its driver considerably better than all systems which have been available to date." Full prices for UK models have yet to be confirmed, but we know the first deliveries will begin in October. 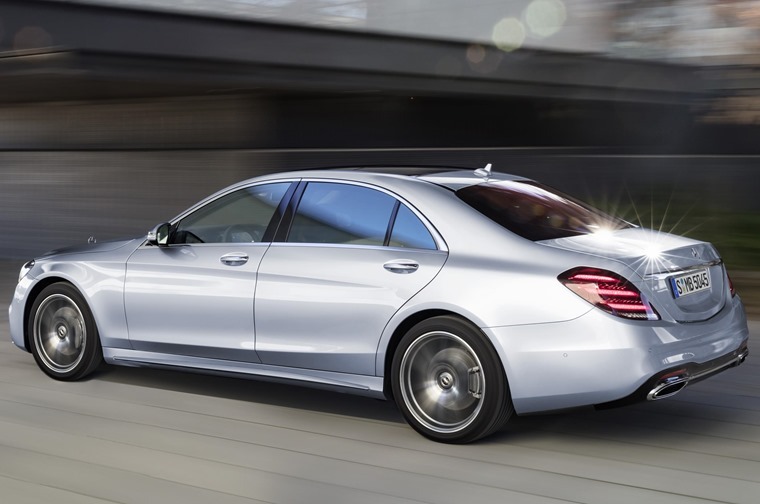 If you can’t wait until then, you can check out lease deals on the current S Class here. Alternatively, check out our video review of the latest E-Class; a car with similar levels of opulence for less.